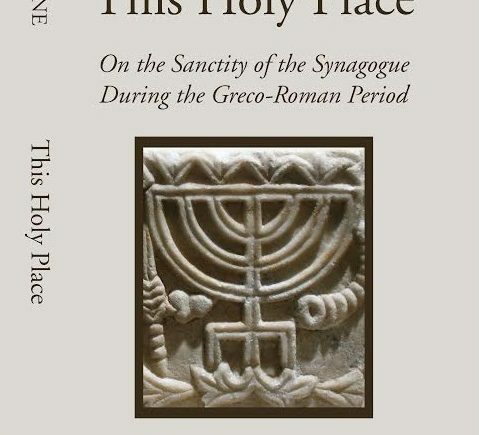 Steven Fine's This Holy Place: On the Sanctity of the Synagogue During the Greco-Roman Period, first published in 1997, is now available in reprint from Wipf and Stock publishers. The new copy includes a 2016 postscript, "Reflections after Twenty Years," which, in Fine's words, "describes the path that leads from this research to my most recent work, especially the impact of my undergraduate education at UCSB and that of a recent Revel seminar on my thinking." Dr. Fine is the Dean Pinkhos Churgin Chair in Jewish History at Yeshiva University and Founding Director of the Yeshiva University Center for Israel Studies and the Arch of Titus Project. He has served on the Advisory Board of the International Catacomb Society, and was awarded a Shohet Scholarship from the Society in 2015 for the Arch of Titus Digital Restoration Project. His latest book, The Menorah: From the Bible to Modern Israel, which traces the history of this unique object across millennia, was published by Harvard University Press in 2016.